Call your customers at a time that suits them. Your customers can simply send a text message to your Short Code to either trigger an immediate callback or a scheduled call. Your customers will avoid premium rate calls, long queues and they'll get to the right department first time, every time. 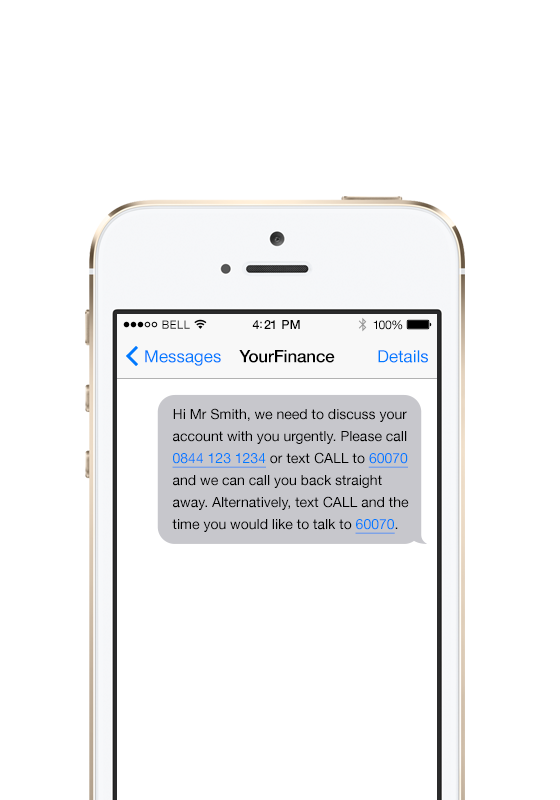 ''Text SERVICE to 60070' to be put through to the service line and speak to an agent, alternatively we can connect to the agent first to ensure your customer always gets through to an agent. 'Text PAYMENT to 60070' to get a call back into the automated payment line and self-serve, or even text 'CALL to 60070' to get a call back at a time that is convenient for them (when they are not working or busy). Furthermore, if a time is specified in the text message the call back is automatically scheduled for that time. "We're delighted with their ability to understand our requirements, the quality of service we receive and the proactive approach our account manager Kim, takes to help us achieve our goals."